Neutron measurements at Oak Ridge National Laboratory’s Spallation Neutron Source are giving physicists new insight into the behavior of quantum magnets. 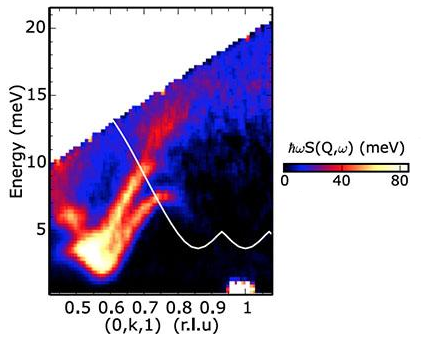 A research team led by Young-June Kim from the University of Toronto used neutron spectroscopy to observe a novel type of energy band repulsion in a magnetic insulator. The study adds to scientists’ understanding of quasiparticles, a theoretical concept that describes many particle interactions inside a material. This work was conducted at SEQUOIA, SNS beam line 17. The team’s results are published in Nature Physics.